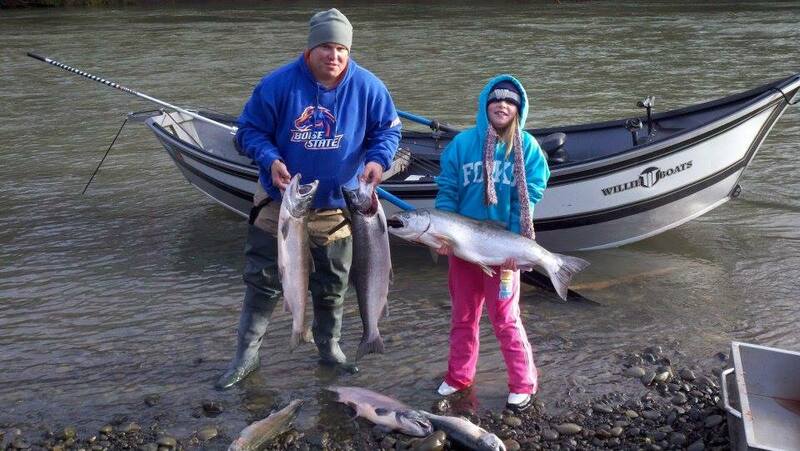 The calls are coming in and everyone is on the river catching fish NOW! This fishery is great for King and Coho Salmon with the bulk of the Kings coming in earlier and then lots of coho coming into the system through December. The latest techniques such as twitching jigs - which is so much fun and popular - gets the coho salmon to strike very aggressively. This is a drift boat trip for 2 people starting late morning - meeting around 6:30am - and fishing later into the afternoon than a traditional trip. Fishing waders or boots with rain gear and a license are all you need - everything else is provided.